"The Leader in Me is FranklinCovey’s whole school transformation process. It teaches 21st century leadership and life skills to students and creates a culture of student empowerment based on the idea that every child can be a leader." We are the leaders of Cleo Gordon. We proactively create a safe, kind, and respectful learning environment. Comets synergize because working together is learning together. I give my best effort now because I am worthy of a bright future. Great happens here and it begins with me. Homework helps develop responsibility and accountability for daily practice of skills taught during the school day. It reviews, enriches, expands on classroom instruction develops the 7 habits at home. Grade level homework is assigned by the teachers and expectations are communicated with families. Assignments will reflect a balance of practicing skills and at home reading. Time spent on homework will depend on the grade level but should not exceed an estimated ten minutes increments per grade level beginning with kindergarten and not to exceed sixty minutes for fifth grade. Students should give their best effort on homework and parents are encouraged to support their children as they complete the work. A reflection of homework completion is noted on the report card. Teachers may provide incentives for students who complete and return homework regularly. Please read the Welcome Letter from our principal, Ms. Megan Thole! Por favor, lea la carta de bienvenida de nuestra directora, la Sra. Megan Thole! The Morning Walk is a time for our families and students to come together! From 8:15-8:25 is our time to walk as a group and receive morning announcements. Parents and friends are welcome to join us on the walk. 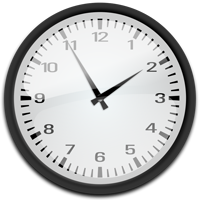 For 1st- 5th grade, the 8:25 am school bell will ring and our Physical Education minutes will begin. From 8:25 to 8:30 all students are required to attend PE. Kindergarten and Transitional Kindergarten will walk from 8:15- 8:25 on the smaller playground and when the bell rings they will line up by class. At that time, students will enter their classrooms. Students may turn them in to their teacher.